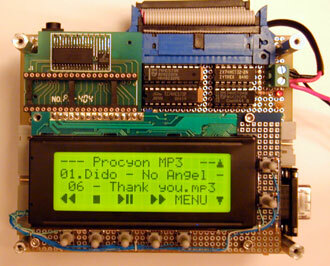 Procyon MP3 is a hardware MPEG 1 Layer 3 (MP3) audio player which supports user-controlled playback of MP3 files stored on a typical IDE hard disk connected to the device. With the emergence of MP3 as a popular standard for storing, playing, and exchanging music, droves of electronics and computer companies have introduced both portable and desktop MP3 player devices into the consumer market. 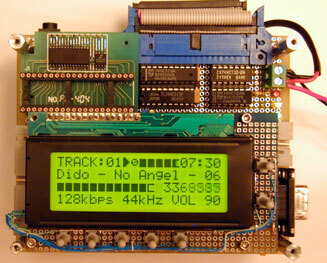 The rise of MP3 has also produced dozens of personal engineering projects like this one. 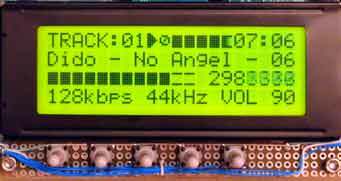 However, where companies must directly cater to their conceived or pre-conceived notions of the consumer market, hobbyists and engineers are free to explore MP3 player solutions that many companies would balk at producing and selling.